You're just moving into a new workplace or you're looking for some fresh office wall art ideas? Let us show you the best options for office wall art. You decide what style fits best! If you don't know yet what to choose, get in touch for a personal consulting session on office design. We help you find the right office design. You can share your office wall art ideas with the artists and receive sketches before their start spraying your walls. 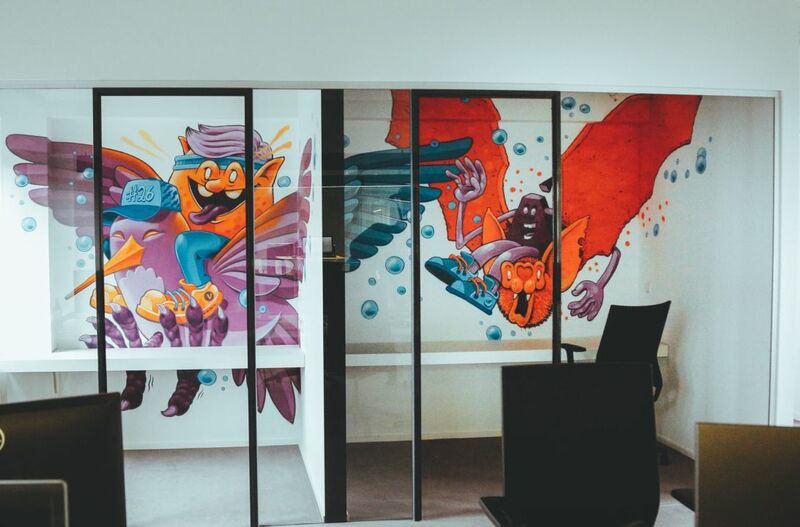 You want to integrate street art in your office design but you also plan to move offices soon? Getting a large wall canvas can be the perfect alternative. It leaves the office walls white and you can take it to your next location. Office wall art doesn’t always have to be graffiti! We also offer a wide range of canvas wall art and temporary office wall art ideas. Get our "content package" and let us communicate about your brand new office design. We’ll tell the story of your office wall art on our blog and social media with professional videos and photos.